Hugh Myddelton is a very friendly care centre in Enfield, close to Southgate, located in a quite residential area. There are useful transport links into central London via the underground, which is 10 minutes walk away, as well as good bus links on the main road. Southgate boasts a Marks and Spencer food hall as well as an Asda supermarket, both convenient for residents’ shopping. The main shopping street is also close by. The nursing home has its own minibus, which is extensively used to visit stately homes and gardens; residents are encouraged to suggest venues of their choice. We have a cookery club once a week and a gentleman's club (sorry, ladies: no entry permitted) where male residents can discuss anything manly, facilitated by a male member of staff. We like to support reading and to this effect a reading club is a regular event, discussing the latest books and poems. Our staff are highly trained in all aspects of nursing care. We cater for elderly frail nursing clients and their complex needs as well as people who live with dementia who enjoy the supportive environment of our Memory Lane Community in safety and comfort. The home also has a small unit for young people with physical disabilities. We would like to welcome you to visit us for a trial lunch or stay, and see for yourself our dedication to excellent elderly care. All food is freshly prepared by our chefs on a daily basis and we cater for special diets on request. Please call us - we are happy to discuss your requirements for respite, permanent or rehabilitative care. 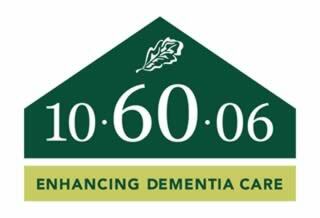 We are proud to be one of the first homes to be accredited as part of Barchester’s 10-60-06 Dementia Care programme, reflecting the enhanced quality of dementia care and improved quality of life experienced by residents here at Hugh Myddelton. Hi, my name is Sam, and I am the General Manager here at Hugh Myddelton House. Welcome to our website! Prior to joining Barchester, I worked in the NHS for over 20 years, where I held various clinical and managerial positions. In 1996 I graduated from Brunel University with a Masters in Counselling and focused on clinical interventions for clients with depression and anxiety. Since then, I have combined a strong, hands-on, direct care approach with my managerial responsibilities. In 2014, I left the NHS as Deputy Director for Clinical Services Delivery in the Behavioural and Developmental Clinical Academic Group at the South London and Maudsley NHS Foundation Trust, where I led a number of initiatives in clinical interventions, policy and procedures in Forensic Psychiatry. In August 2014, I was appointed as the Hospital Director at Alpha Hospital Woking (later Cygnet Woking Hospital), a CAMHS and Adult secure services. As a Registered Nurse and a General Manager, I am passionate about delivering high-quality care to those we support, and I enjoy working within a team that can make such a positive difference to the lives of residents and those we work with. Hello, my name is Darclee and I am the Unit Lead on Memory Lane, our enhanced dementia care unit. I have over 9 years' experience in different domains of nursing. I worked in Romania for over 7 years in a hospital revered for its consistent delivery of excellent services. I have been at Hugh Myddelton House since 2016 and I always strive to make sure that the residents receive the best care and attention possible. Vin joined Barchester in 2003 as a member of the hospitality team at Southgate Beaumont. She then worked as an Administration Assistant whilst completing her NVQ Level 2 & 3 in Business Administration, and Level 2 in Customer Care. Vin works closely with our GM and is responsible for the day-to -ay running of the home behind the scenes. She is a first point of contact for new residents and their loved ones. Vin ensures our showrooms are of a very high standard and is responsible for taking prospective residents and families on tours of our home and facilities. She has extensive knowledge of Barchester and a keen eye for detail and excellent customer care. Vin is passionate about ensuring residents and their families are well informed and supported during their time with us. Mel joined Barchester in Janurary 2018 as a Care Assistant and, shortly after, joined the activities team. She is currently studying psychology at university and has a NVQ Level 3 in Health and Social Care, and has introduced many activities to the home, such as Creative Minds, jewellery making, iPad activities and room-to-room church services. Her background in care allows her to provide activities that ensure residents are able to participate properly. Mel is passionate about continuous evaluation and research in activity provisions to ensure that residents live their lives to the fullest. Hi, my name is Paula and I am the Unit Nurse Manager here at Hugh Myddelton House. Chris started as a Kitchen Assistant in June 2013 and is our Interim Head Chef. He prepares excellent homemade meals every day with a variety of different foods and delivers nutritious and enjoyable meals to all residents. He caters to the residents' needs and uses fresh produce for our delicious menus. Mirreck takes care of all the maintenance within the home and ensures the facilities are kept to a good standard. He is very experienced and has a great sense of humor, keeping everyone in good spirits. He enjoys spending time with the residents as well. Hi my name is Alina, I am the Clinical Deputy Manager here at Hugh Myddelton House Care Home, I have been at this lovely home for two years. Prior to starting at Barchester, I was in another competitive care provider in the private sector for 10 years, It was a valuable experience because I worked my way up from a Healthcare Assistant, to Activities, to Staff Nurse, and now I am the Deputy Manager of our a Clinical Unit. I am happy to be part of the Hugh Myddelton team ensuring that we celebrate the lives of our residents whilst in our care. Our residents quality of life will always comes first. Hi, my name is Michelle and I am the Hairdresser here at Hugh Myddelton. I have been working in various care homes as a hairdresser for over 25 years and I have been coming to Hugh Myddelton since 2005. I find that residents who come for regular salon visits do reignite sensory cues. Sessions with the Hairdresser provide sensory cues as well. Residents come in for a haircut, styling or perm and they leave with memories of their young, vibrant and active years. Every resident who comes into the salon can expect emotional support and a tea and biscuit break filled with laughter. I am happy to part of the team in this lovely home.